Attention fellow Tailgaters!! 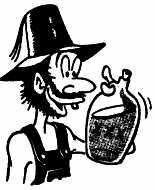 Crack the Tennessee Moon Shine! 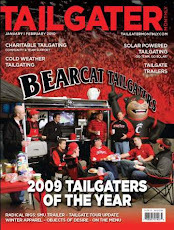 The wheels are in motion for another awesome Tailgate with the Bearcat Tailgate Crew. We are encouraging all Bearcat Fans to Tailgate at Calhoun's located at 400 Neyland Drive. This is SEC tailgating, so take it easy on the booze Friday night and be prepared to rise and shine bright and early if you plan on grabbing a tailgate spot. That's right...the lot opens at 6am and I'm told if you want a spot, you better be there by 6am not 6:30am. Spots are $30 a piece - RV's & Tailgate vehicles are welcome (you are required to pay for the amount of spots your vehicle will take). The UC Alumni Association is holding a Sold Out event at Calhoun's so there should be plenty of Bearcat Fans in this area. If you plan on attending our tailgate please send me comment on our Facebook Page so we can do our best to plan accordingly. Please feel free to bring something to add to the party! Click Here for a "Game Day Guide" from UT athletics with parking maps, game day traffic flows, etc. If you have a boat...Check out the Vol Navy! I look forward to seeing everyone on Saturday!! Go Bearcats!